On the parents of Joseph F Hartnett. The only possible family of the immigrant Joseph found thus far is in Co. Cork, Cloyne Diocese. It is certainly possible that Joseph found his way to Limerick City, just over 100 km or 60 miles from Carrigtwohill (also spelled Carrigtohill). The research is continuing. On 21 Feb 1811, in the Diocese of Coyne, Co. Cork (the parish may have been Cloyne, Churchtown or Kilteskin), Bartholomew Hartnet [ID 16151] and Honor Kennedy [ID 16152] were married. Both were listed as of "Carrigwowel." The witnesses were James O'Donnell and Willliam O'Donnell. The officiator was the Rt. Rev. D. Coppinger. Patrick, baptized 30 Jan 1820. Joseph, baptized 5 May 1823 (which date fits within the 1820-1824 range from other records). Bartholomew, baptized 8 Sep 1828. Maurice, baptized 24 Jul 1832. The only sponsor with the name Hartnett was "Cate" for Maurice. [S41] Letter from Chris O'Mahoney (Michael St., Limerick, Ireland) to Hilary Hartnett, 13 May 1992; Collection of Vincent W and Donna F Hartnett, "Joseph Hartnett married Anne Gleeson in St. John's church, Limerick City, on 23.2.1851, in the presence of James Mahony and Bridget Hartnett. (Both Joseph and Bridget being called Hartney.)." [S1466] Carrigtwohill Parish Baptism Register 1817-1873, Carrigtwohill, Co. Waterford, Ireland, Cloyne Diocese: img. 21. Joseph, son of Barth. Hartnett and Norry Kenedy, bapt. 5 May 1823; sponsors Michael Desmond and Nelly Hartnett. [S29] St. Louis City Death Records, 1850-1902, St. Louis Genalogical Association, compiler, online Ancestry.com, Burial Certificate No. 547; Joseph F. Hartnett, age 70 yrs, married, b. Ireland, place of death 2725 Gamble Str, block 977, bounded N by Dayton, E by Elliott, S by Gamble, W by Leffingwell, city ward 14; DOD January 22 1894, cause of death Entero-Peritonitis, Dr. Wm J Langan; interred Cavalry Cemetery, Cullen & Kelly, undertaker; cert. issued 24 Jan 1894. [S1030] RootsIreland Irish Genealogy Records Databases, online rootsireland.ie, Joseph Hartnett, b./bap. 5 May 1823, Carrigtwohill, Co. Cork; Roman Catholic; father Bartholomew Hartnett, mother Honora Kennedy; sponsors Michael Desmond and Ellen Hartnett. [S707] St. Louis City Directories (transcripts and images) (St. Louis, MO: Washington University Digital Library Services), 1868:368. [S1189] Joseph F. Hartnett, microfilm image, St. Louis Court of Criminal Corrections, Declarations of Aliens, St. Louis City, Vol. 1, p. 52, Reel C25789, Joseph F Hartnett, native of Ireland, age 35 (19 Feb 1868); Missouri State Archives, Jefferson City, Missouri. [S58] Gould's St. Louis Directory , 1871, p. 302, img 156; no address given. 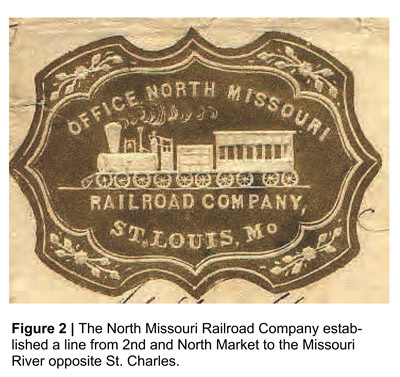 [S58] Gould's St. Louis , 1872, p 331. [S1052] Joseph F. Hartnett, microfilm image, Second and Soldiers Papers, Naturalization Cards, St. Louis City, Vol. 11, p. 183, Reel No. C 25794, St. Louis City Court of Criminal Corrections, Second and Soldiers papers, reel C 25794, vol. 11, p. 183, "Joseph F. Hartnett", 17 Oct 1874, native of Ireland (17 Oct 1874); Missouri State Archives, Jefferson City, Missouri. [S58] Gould's St. Louis , 1876, p 391; residence. [S58] Gould's St. Louis , for 1883; p. 480; also Joseph F. P. jr., clerk and Vincent, clerk; all res, 2703 N. 10th. [S61] Calvary Cemetery Index of Names, online archstl.org. [S1490] PastPorts, St. Louis County Library History and Genealogy Department.